These OEM BMW Roundel Valve Stem Caps make a unique addition to any model BMW, no matter if you have OEM wheels or aftermarket wheels. These caps work with all BMW models, old and new. All BMW Valve Stem Caps come in a complete set of 4 for your vehicle. 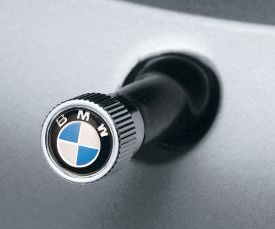 Maintain a sleek OEM appearance for you BMW with these OEM BMW Roundel Valve Stem Cap!